WASHINGTON (CNS) — Recollections and tributes to Robert F. Kennedy on the 50th anniversary of his assassination have mainly highlighted his charisma and determined advocacy for social and racial justice. But underlying these tributes to the former attorney general, U.S. senator, Democratic presidential candidate and father of 11, also is an unmistakable connection to his Catholic faith. Inevitable references to Kennedy’s faith come up when mentioning his Irish Catholic family or his funeral at St. Patrick’s Cathedral in New York, but there also are plenty of anecdotes in biographies mentioning that he was an altar server or wore a St. Christopher medal. And then there are his speeches, which often echo Catholic social teaching without coming right out and saying it. Larry Tye, author of “Bobby Kennedy: The Making of a Liberal Icon” in 2016, said Kennedy’s faith helped him as he grieved the 1963 assassination of his brother, President John F. Kennedy, noting that he kept a missal beside him in the car and thumbed through it to prayers he found consoling. “Robert was the Kennedy who took his Catholicism most seriously. He attended Mass regularly, and prayed with his family before meals and bed,” said Jerald Podair, a history and American studies professor at Lawrence University in Appleton, Wisconsin. Podair, who is currently writing a book about the politics of the 1960s and its links to the rise of President Donald Trump, said Kennedy always wore a St. Christopher medal too, but he said his Catholicism was not limited to his personal life but also showed up in his politics. Podair said Kennedy was drawn to the farmworkers’ cause — when few other mainstream politicians were — “largely because of its links to Catholicism.” He noted that when Kennedy sat with Chavez as he took Communion at an outdoor Mass after the end of his March 1968 hunger strike, it was a public expression of Kennedy’s firmly believed Catholic view that all people are equal and deserve equal rights and opportunities. 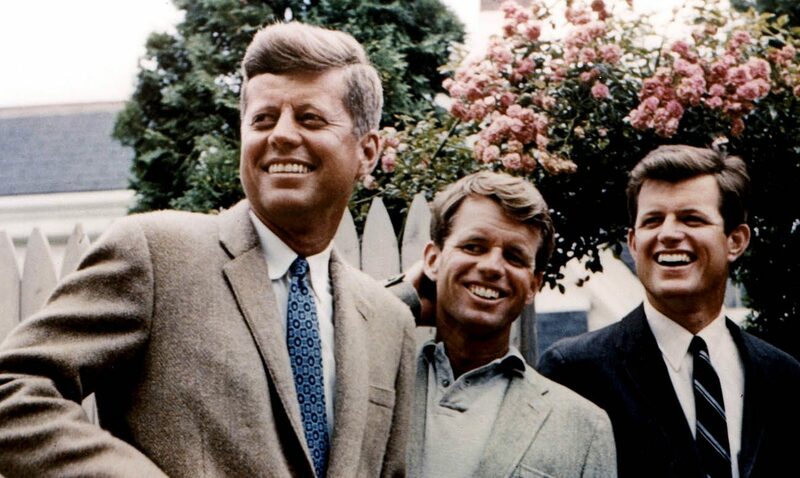 The book, “Robert Kennedy: His Life,” written by Evan Thomas in 2002, described Kennedy as a “a romantic Catholic who believed that it was possible to create the kingdom of heaven on earth,” and notes that although Kennedy at times may have lost the certainty of his faith, he never lost the hope. The basics of Catholicism — prayers, Mass and crosses or saint statues in the house — were part of Kennedy’s life with Ethel and their children as well, ranging in age from 16- to not-yet-born when he died. In a 2008 interview with the Boston Globe, Kennedy’s daughter Kerry Kennedy, the seventh child, who was 8 when her father died, said faith was central to her upbringing — especially prayers before and after meals, an out loud Bible reading and Sunday Mass. Kerry Kennedy, who established the Robert F. Kennedy Memorial Center for Human Rights in New York, said her faith was influenced by both of her parents, noting that her father thought about being a priest and her mother considered being a nun. “We are gathered here in a spirit not of mourning, but of hope,” said Jesuit Father Matt Malone, editor of America magazine.